This decorative font was made for personal and commercial use. This font includes English letters, numbers, punctuation and symbols. To install the fonts, most users will just have to unzip the file, double click on the font file and click Install. 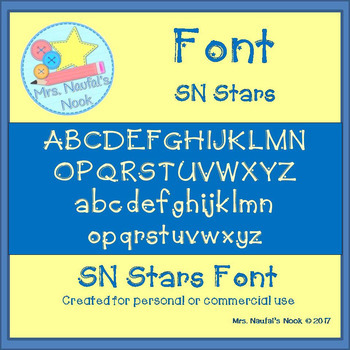 If you do choose to use this fonts for commercial use, I would appreciate it if you would put my logo or a link back to my TpT store in your credits page. 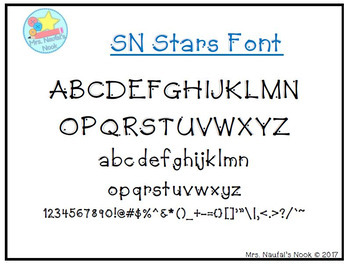 Fonts were created with "SN" at the beginning so all of my fonts will be grouped together on your alphabetical listing to assist you in locating them.